As a mother of four, a community volunteer, and an attorney, Elizabeth didn’t have a lot of free time. At a Lion’s Club event, she heard a Big Brothers Big Sisters representative speak about the need for volunteers. Elizabeth was matched with her first Little Sister, and the two built their relationship over five years. When her first Little Sister graduated high school, Elizabeth wanted to give her time to another young girl. She was soon matched with Little Sister Alie, whose parents signed her up to become a Little Sister because she was often bored at home, didn’t enjoy school, and struggled to make friends. 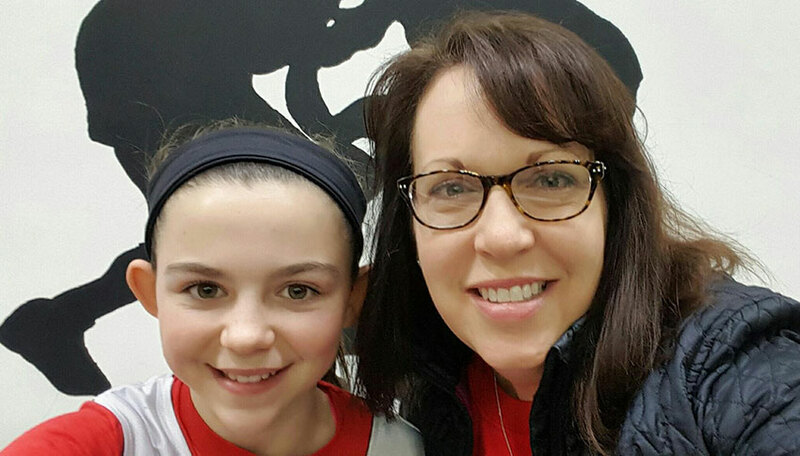 For their first outing, Elizabeth decided to take Alie to a high school basketball game. This seemingly small decision was huge to Alie. It was the first time she had ever been to a basketball game, and she was hooked. “She introduced me to basketball, and I have loved it ever since,” Alie says. Elizabeth began taking Alie to many sporting events to help nurture her new interest, and when Alie said she wanted to play sports instead of just watching them, Elizabeth helped her join leagues. She continued to fall in love with basketball and began playing soccer as well. Playing sports has given Alie some of her closest friends in her teammates and also helped her gain confidence, which has transferred to the classroom. Her grades are better, she’s more enthusiastic about school, and she knows she has her Big Sister as a supporter off the court as well. Elizabeth has visited parent teacher conferences with Alie’s mom, where she’s advocated for testing to assess Alie’s reading issues. Alie has since been diagnosed with dyslexia and now has an Individualized Education Program, which she is excelling in. As Alie continues to be a star in school and in sports, she knows that she has her Big Sister Elizabeth who will either make time to sit in the stands with her or be in the crowd to cheer her on.